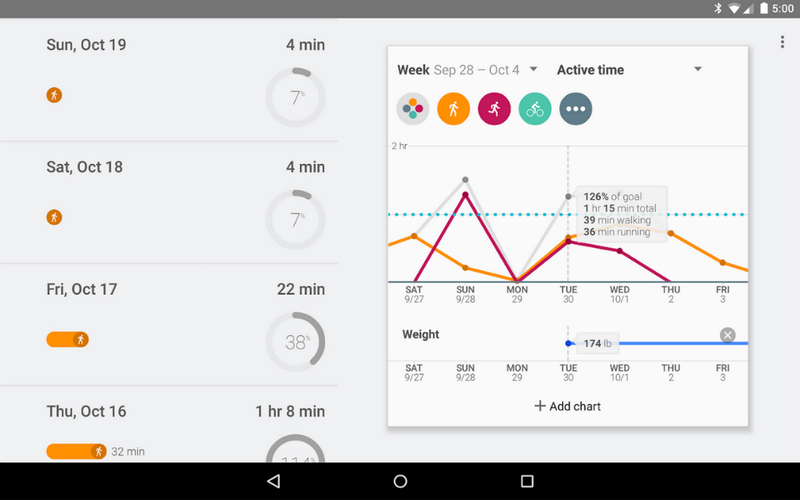 The official Google Fit app is now available for Android devices through Google Play, allowing Android users to track all of their activity, tying all of the info directly to your Google account. With Google Fit, users can reach personal goals, which are specified by you within the app. These can be running, walking, or even biking goals. The app will also recommend performance-based goals, which shape to your physical ability. Upon opening the app, it starts you off easy, asking that you only put in one hour of activity a day. This of course can be customized to fit a more active lifestyle. Here is the full feature rundown. Connect third party devices and apps to Fit and we’ll show you all of your fitness data in one place. The application is now downloadable straight from Google Play. Go grab it.